The Salomon QST Lux 92 makes an excellent ski for intermediate-advanced skiers looking for versatility. Salomon's new CFX Superfiber technology works with a Spaceframe Wood Core to increase stability and strength without adding any extra weight to the ski. Its power transfer platform features elastimer pads within the construction of the ski at the ends of the X-Chassis increase smoothness of power transfer to edges for a more progressive feel, while also filtering vibrations. Super light honeycomb/Koroyd Tip insert, reinforced with ABS. 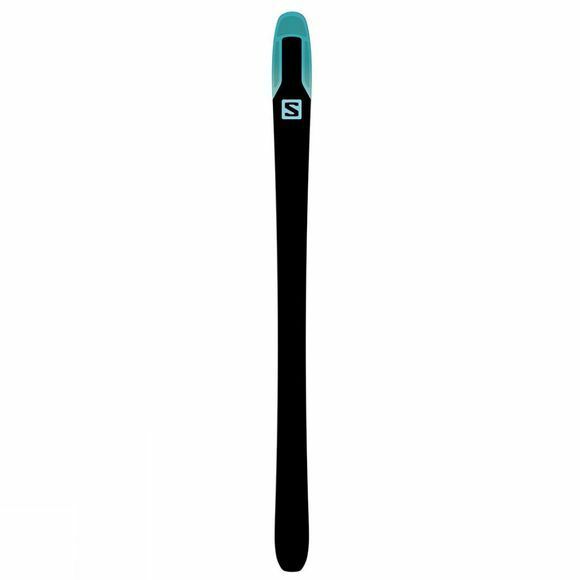 Less weight at the extremties with increased dampening from Koroyd dramatically increases maneuverability and ease of steering on rockered skis. Take on whatever the mountain may have in store, and come back for more on the Salomon QST Lux 92 Skis. 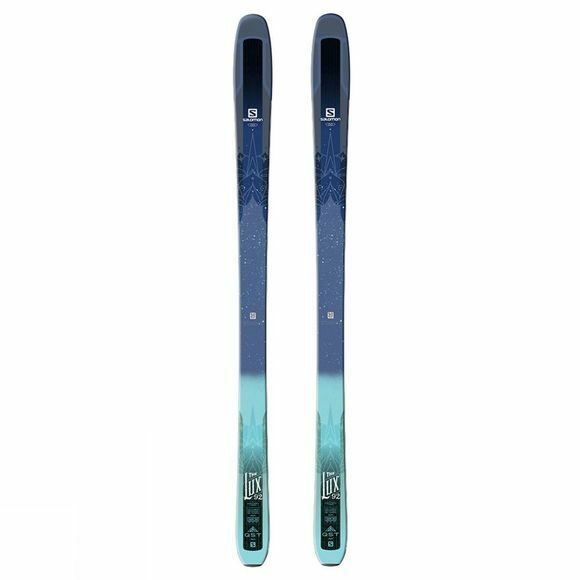 * These skis are 92mm wide, you will need a brake at the same size or wider than the ski.